With snow-capped peaks and turquoise lakes shimmering like gems among the trees – the Canadian Rockies are lookers, alright. 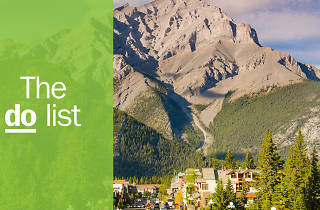 But while some other places in the area have their ski spots or their spa days, Banff National Park truly has it all. 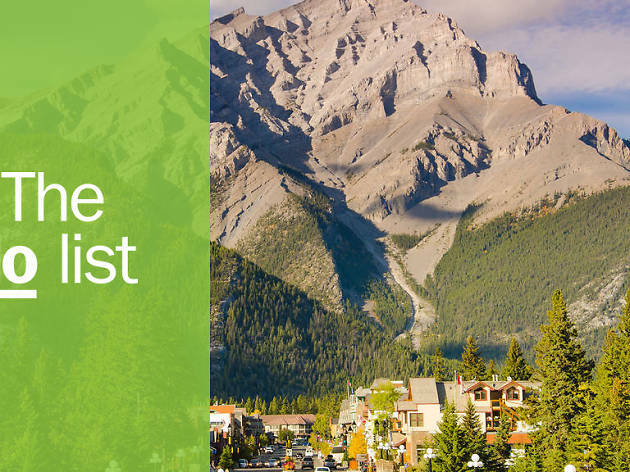 From 360-degree mountain views from the town’s main street to summiting peaks via ski-lift, gondola or sheer willpower to charming downtown restaurants, there are countless places where you can take in the atmosphere. What is it? 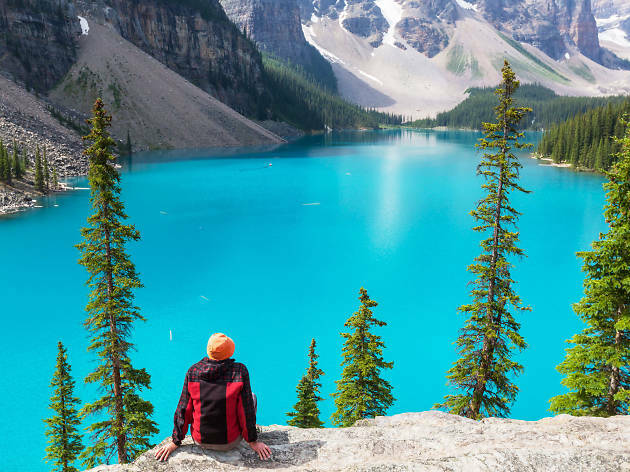 As if the view of its turquoise waters wasn’t enough, Lake Louise is also known for the breathtaking scene just beyond its shores: a pair of snow-capped mountains flanking the Victoria Glacier – the icy mass that feeds the lake and gives it its famous hue. Why go? Just a 40-minute drive from downtown Banff, Lake Louise simply cannot be captured by photos. Hop in a canoe in the summer or walk across the lake in the winter to find a frozen waterfall. Then warm up with a hot toddy at Alpine Social in the impressively vast Fairmont Chateau Lake Louise. What is it? 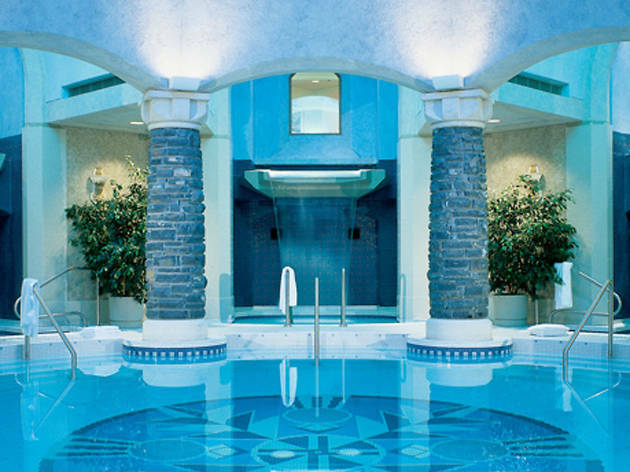 Banff and its surrounding parks are littered with luxury hotels, and inside those hotels are some of the most spectacular spas in the country – the one at Fairmont Banff Springs is particularly great. Why go? Complete with mini waterfalls, it’s modelled on the Banff hot springs that travellers frequented more than 100 years ago. Unwind with a facial, wrap, soak or scrub followed by a lounge in the terrace pool, taking in the mountain views. What is it? 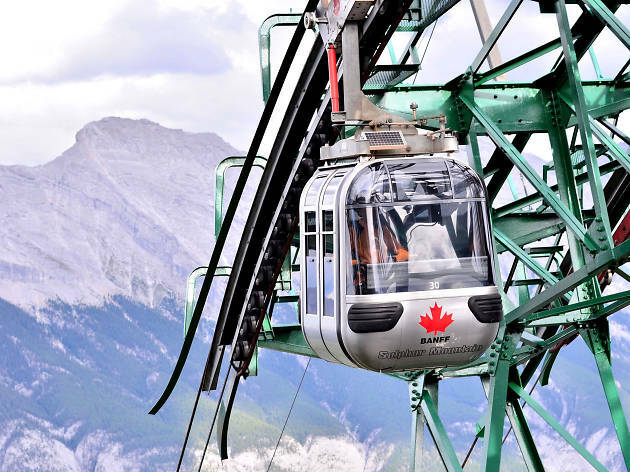 The Banff Gondola is made up of intimate four-seater cars, travelling up Sulphur Mountain to the summit ridge, and it’s the best way to take in the surrounding six mountain ranges all at once. Why go? Thanks to the upper terminal being fitted with an observation deck, two restaurants – including the lauded Sky Bistro – and an interactive educational display, a trip on the Gondola is much more than breathtaking views. What is it? 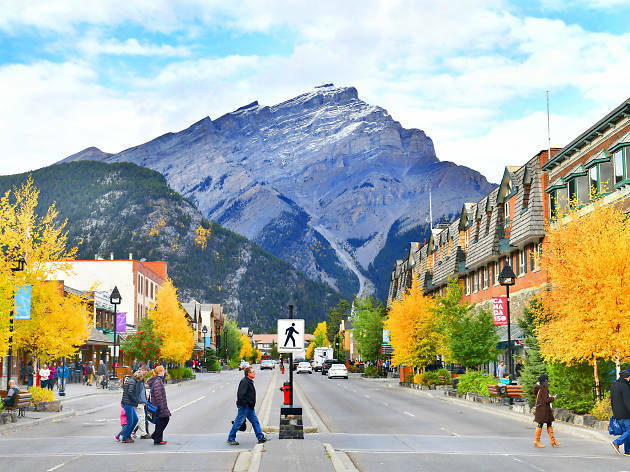 Downtown Banff is tiny but powerful, with impressive peaks visible from every angle of Banff Ave beyond its quaint and lodge-like boutiques, restaurants and watering holes. Why go? Between the locally sourced art, food and even craft beers, the high street has something for every mood or time of day. Try Alberta steak at The Maple Leaf or some of the hometown tipple at Banff Ave Brewing Co.
What is it? A store selling eponymous pastries made with hand-stretched dough, flattened and fried to resemble the broad tail of Canada’s national animal before being topped with sugar, cinnamon, fruit, chocolate fudge, or whatever other sweet treat you might fancy. Why go? Less ubiquitous than Tim Hortons or poutine but just as quintessentially Canadian, BeaverTails are a warm and fluffy comfort on a snowy day. What is it? 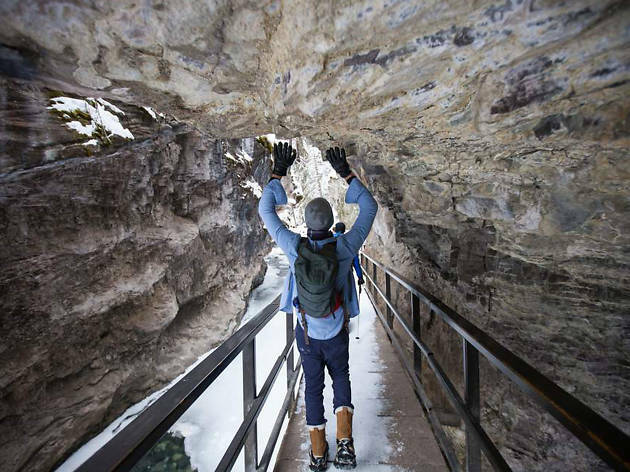 The Johnston Canyon ice walk is a favorite for visitors between December and April. Hikers need snowshoes or ice cleats to take it on but can either go solo or as part of a guided tour. Why go? For obvious reasons, this is a winter-only activity. However, if you are willing to brave the low temperatures, expect to see sparkling frozen waterfalls and otherworldly green mineral springs known as the Ink Pots. What is it? 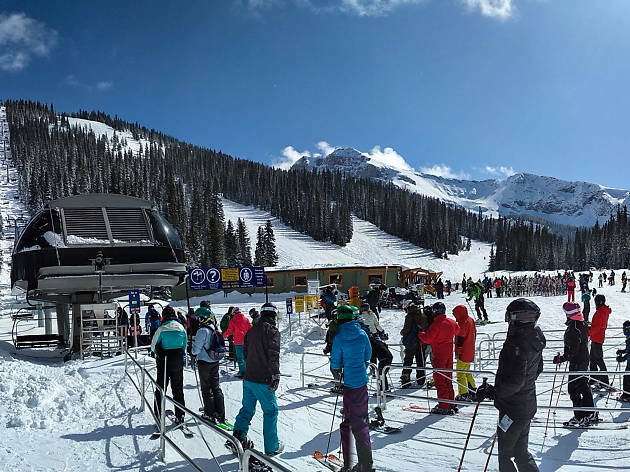 The loftiest and snowiest of the ‘big three’ ski resorts in Banff National Park is just a 20-minute drive from Banff’s downtown. Why go? For aficionados of the slopes, Sunshine Village will never fail to impress. It’s the highest elevated resort in all of Canada (at 2,730m) and therefore boasts an exceptionally long ski season. 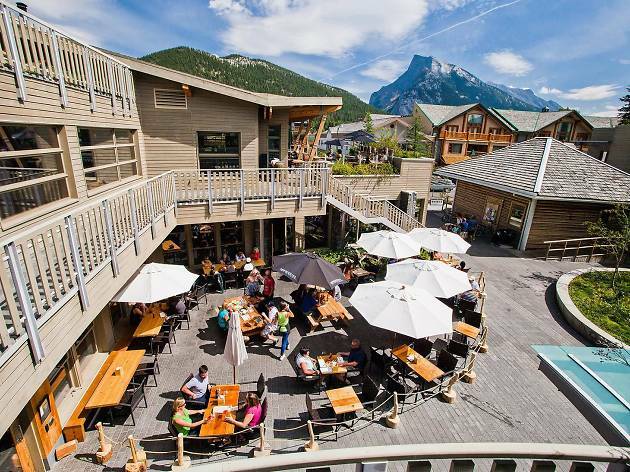 To be extra close to the action, stay at the Sunshine Mountain Lodge, Banff’s only ski-in, ski-out hotel. What is it? No one really knows. However, best bets are that this bizarre, tiny ‘sea monster’ is a Doctor Moreau-style creature assembled from various other taxidermied animals and made to look like a merman. 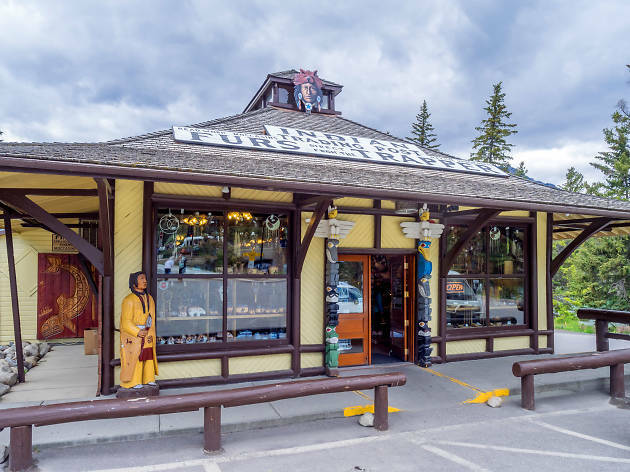 The exhibit, located in the Banff Indian Trading Post, is likely more than 100 years old. Why go? Certainly a unique experience, meeting the mummified ‘merman’ is a great addition for those looking to break up the scenic sights with something off-the-wall – and shrouded in mystery. What is it? After a pair of dams were built in the first half of the twentieth century, the former Minnewanka Village was engulfed by rising waters. 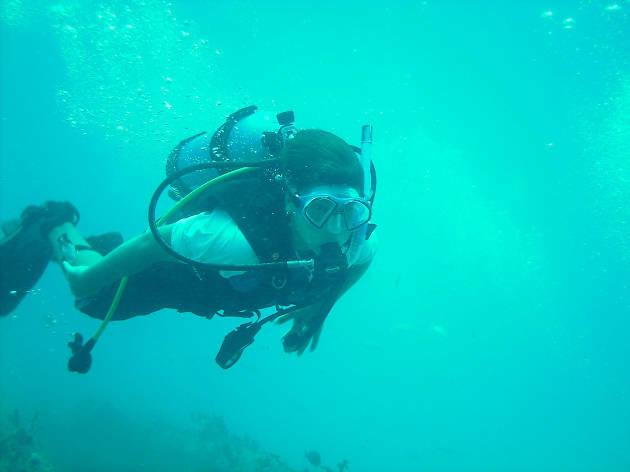 Its remaining structures can now only be seen by certified scuba divers (or trainees accompanied by one). Why go? If you’re willing to brave the chill in the water, you will have the chance to explore the underwater ghost town – from house foundations to cellars, sidewalks and even a chimney – 1,450m above sea level. What is it? There are several mountains around Banff with summits that can be reached without equipment, simply by way of hiking – and possibly some scrambling. Why go? You may need a whole day to do some of the higher-altitude summit hikes, but there is nothing like feeling as if you’re touching the clouds after pushing yourself to the top. Block out up to six hours to top Mount Fairview, and eight for Cirque Peak. 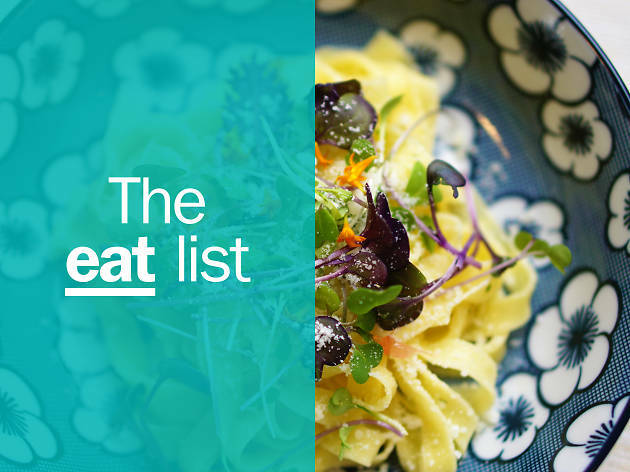 Hungry for the best restaurants in Banff? 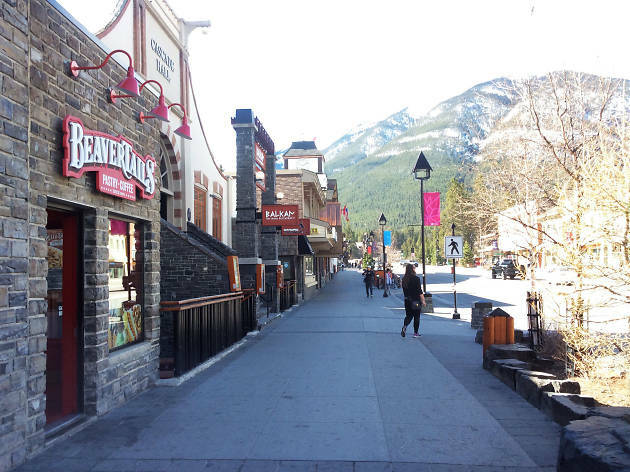 Banff’s restaurants are much like the town itself—a touch of warmth and comfort nestled among the spectacular peaks of the Rockies. Top chefs have brought their skills here, with dishes from all over the world represented, but each restaurant has a Western Canadian stamp of its own.